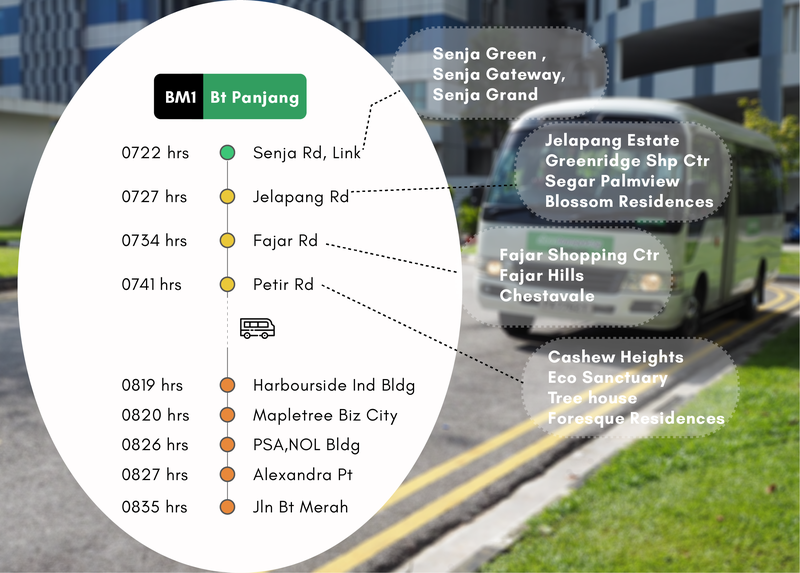 We’re excited to bring a bus pool near your estate at Bukit Panjang to Mapletree Business City, Alexandra Road and Jalan Bt Merah. 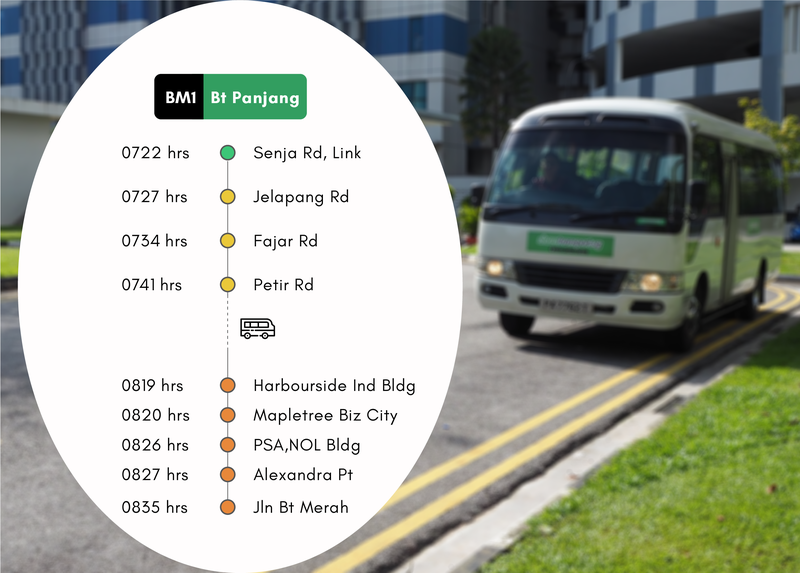 ShareTransport BM1 is a bus pooling service, which will shuttle you from Senja Link, Jelapang, Fajar and Petir to offices located at Mapletree Business City/PSA/NOL/Jalan Bt Merah. Bus service operates on weekday mornings (except public holidays). View the full schedule directly on our webapp here. This bus service offers a direct journey catering to working adults at Mapletree Business City, PSA Building, NOL Building and close proximity offices located at Bukit Merah Town Center. 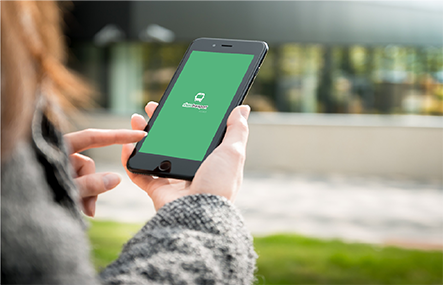 Users who are interested may download the ShareTransport Mobile App and book a seat. Users can expect a direct journey with guaranteed seats. Average travelling time from point to destination is approximately 40 – 45 minutes. Are you thinking to join us on your first direct ride to work? Use promo code "APPLY5" and try the service out! No Seats? Fret Not. Add yourself to the waitlist and we'll increase the capacity of the bus! You may view the full schedule on ShareTransport.sg or download the ShareTransport App here. 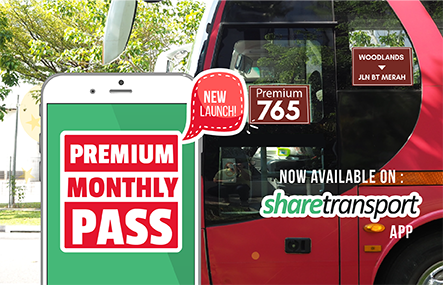 For more updates and latest route launch, follow us on Facebook or write to us at info@sharetransport.sg.